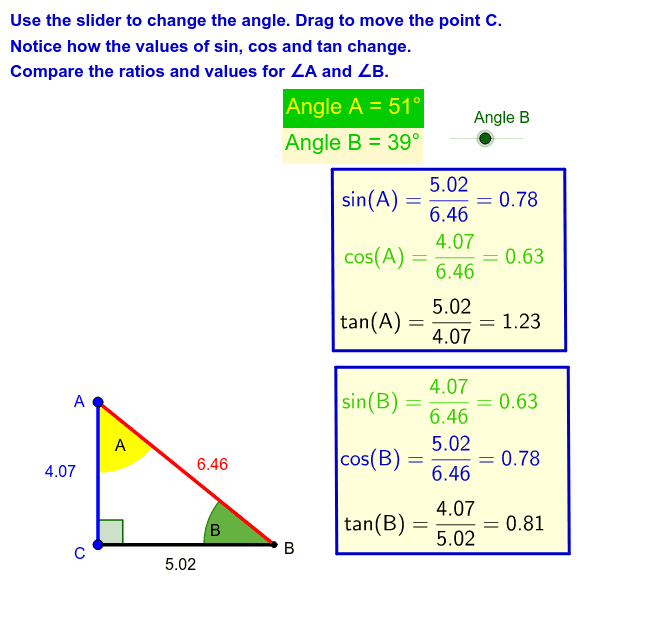 Compare sin, cos and tan for complementary angles. It is essential to learn the definitions of sin, cos and tan. Use SOH_CAH_TOA or your own memory aid. In a right angled triangle angle A and B add up to 90˚ and they are called complementary angles.